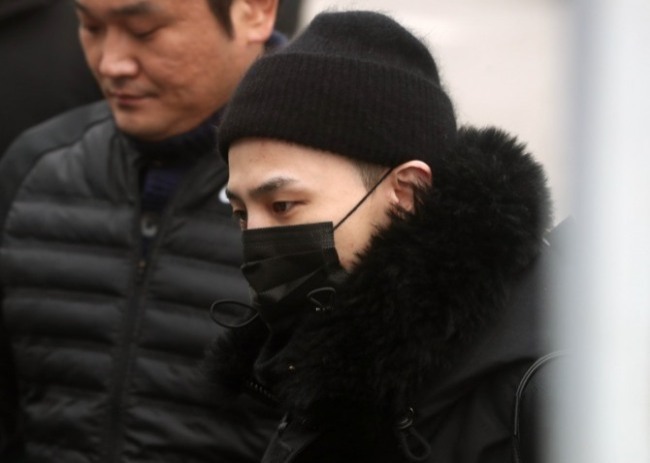 Big Bang frontman G-Dragon has returned to his military base amid controversy over preferential treatment he allegedly received at a military hospital. The artist’s agency YG Entertainment said Saturday that G-Dragon, who had been receiving treatment for an ankle injury at the Army Hospital in Yangju, Gyeonggi Province, returned to his base in Cheorwon in Gangwon Province on Friday. The news came about a week after a local media outlet reported that the artist had been hospitalized at a one-bed hospital room classified as a “colonel hospital room” at the Army Hospital since June 19, instead of using a multi-bed hospital room. The report also mentioned that the artist used 26 days of sick leave from March to June. YG refuted the allegations, calling the rumor malicious and groundless. It said the room G-Dragon used wasn’t a room for colonels and he was hospitalized following normal procedure. The Ministry of National Defense also confirmed that the room can be used by any solider or executive in special circumstances. In the case of G-Dragon, the big-name celebrity was separated from other soldiers to prevent chaos at the hospital. According to the agency, G-Dragon has been suffering from an ankle injury which he sustained from frequent world tours. “Examination results showed that bone fragments around his ankle could pose possible damage to his ligaments and muscles, and even cause infection,” the agency said. He underwent surgery in a private hospital earlier in May. Upon being discharged from the hospital, he will continue receiving treatment at his military base. G-Dragon enlisted on Feb. 27 as an active soldier in Cheorwon, Gangwon Province. He will be discharged on Nov. 26, 2019.